Prior to the Cummins R2.8 turbo-diesel crate engine media trip, I queried Stephen about the parameters. Off-highway single-tracks would be fine, but it’d be important to get the repower vehicles and their new diesel implants out on the open highway. 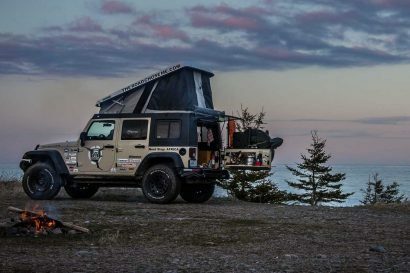 For many overlanders in North America, trips can have significant tarmac time until the dust begins: long highway miles on flats, climbing steep grades, passing slower cars and trucks, and crossing through varying altitudes and ambient temperatures. It stands to reason that assessing this engine would require a typical real-world trip profile. Stephen had not driven the vehicles that we would pilot, nor had he even seen the final engine installations. He would be driving them for the first time too, tuning, testing, and data logging the entire trip. Wait, what? That takes serious confidence in your product. I could tastefully wordsmith through the review, but I hoped these engines wouldn’t turn out to be underpowered slugs with glaring R&D issues. This would be an engine review, not a custom build assessment—and no new car smell, either. The alarm went off and by 0600 hours, I was on a plane bound to Grand Junction, Colorado. Cummins has been making diesel engines since 1919. Yes, next year will be their 100th anniversary. Their current smallest production engine is the one reviewed here, displacing 2.8 liters. The largest one in their stable is a monstrous 95-liter V16 power plant for locomotives and mining applications. They don’t manufacture cars, and they don’t make shopping trolleys. Cummins designs, refines, and builds diesel engines. Clessie Cummins fiddled with motors from an early age. While working as a chauffeur for a banker named William G. Irwin, the retainer convinced his boss to bankroll a company for developing diesel engine technology. At the newly established Cummins Engine Company, Clessie delivered. He didn’t invent the diesel engine, of course, but through his persistent tinkering and testing, he maximized these motors and their fuel systems. He also demonstrated how diesel engines were more efficient than gas equivalents, and he was motivated to spread the word. Clessie was the original diesel repower guy and even sold diesel power plants through the Sears catalog. Cummins was already offering a 100,000-mile warranty by the 1940s—the first engine company to do so. Today, they are rated as a Fortune 500 firm, and with a long-standing worldwide presence, Cummins is a diesel powerhouse unlike any other. The staff at Cummins realized a market for replacing worn-out gas engines with fresh diesel power plants. I doubt they discussed family sedans at the initial meetings, because their repower R2.8 turbo-diesel crate motor (the R stands for repower), the first of its kind, specifically targets the SUV and light-duty pickup truck crowd. Previously, Cummins examined the manual, short wheel-based diesel conversions (mostly Jeeps). 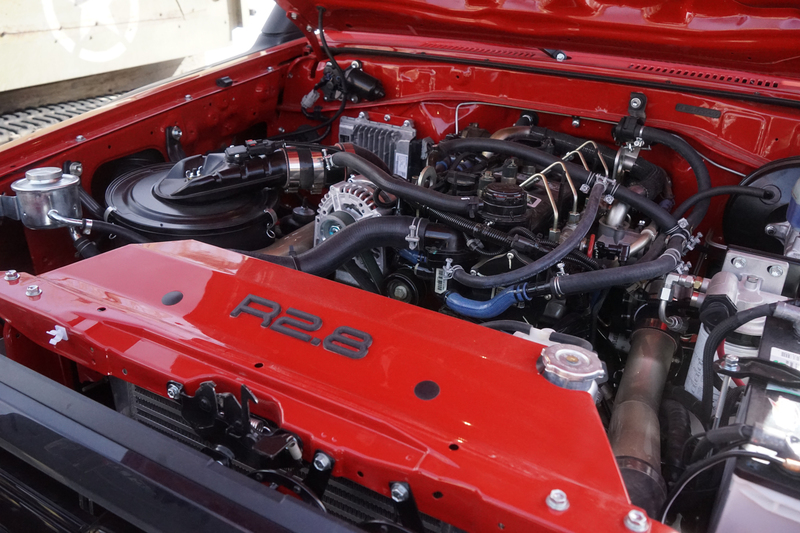 Now, they sought to examine how reputable builders would couple the R2.8 to automatic transmissions in vehicles weighing greater than 4,500 pounds. They also wanted to see how the aftermarket would generally approach the builds. Cummins would have factory representatives along for the ride to log data for improvements and future product development, specifically targeting these heavier vehicles. It can’t be overstated, Cummins just sent out the motors and told the builders to do their thing. 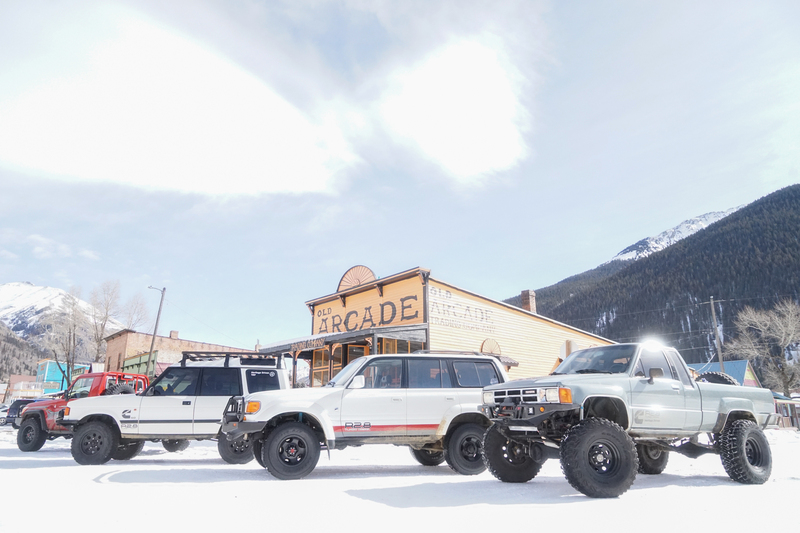 It was almost entirely hands-off from the corporate side, up to the point when a few members of the overland media and the lead Cummins R2.8 team (Stephen Sanders and Brittany Borella) converged upon Colorado for the test drives. The Overland International staffers who sent me on the assignment had no idea how many miles were on my personal truck. It’s a complete coincidence, but we can use that rig as a hypothetical R2.8 repower example vehicle. It’s a preferentially equipped 2003 Toyota Tacoma SR5 TRD Double Cab 4WD which I have owned since new, with 284,783 miles on its gas-powered, 5VZ-FE 3.4-liter V6 motor. It’s a daily driver work truck, with plenty of unrecoverable aftermarket investments throughout (and some parts no longer manufactured). Nothing is currently wrong with it. However, the well-maintained motor that has never leaked a drop of oil is getting long in the tooth and I have been contemplating the next steps. Here are some options: have that specific motor rebuilt (estimated cost of around $5,000 with shipping, excluding removal and installation labor as well as ancillary parts that would need to be replaced), buy a low-mileage truck of the same make/model ($8,000-$12,000) and swap the aftermarket parts over, or purchase a new 2018 Tacoma 4WD ($55,000-$65,000+ depending on the factory options). Or, for around $9,000, excluding labor (if required) and any incidental parts, I can install a brand new 500,000+ mile Cummins R2.8 turbo-diesel engine that will, among other benefits, almost double the current fuel tank’s range. And, it comes with a two-year/2,600-hour warranty. This is an interesting prospect indeed. Upon reflection, it seems fortuitous that I was asked to test the Cummins diesel repower engine. Copious specifications and frequently asked questions can be gleaned from Cummins Repower and related online sources. Here we focus on information gathered from the field testing and my communications with Sanders about what you should expect straight from the crate. Cummins took what they call a parent product, essentially a 2.8-liter engine used for various overseas applications, mostly cab-over trucks and small buses, and designed the repower motor. This power plant, also found throughout the Foton Motors line in Australia in their light trucks, utility vehicles, and vans already had extensive drive time. So, with a proven in-house diesel motor that could take desired modifications, the Cummins repower team set to work. 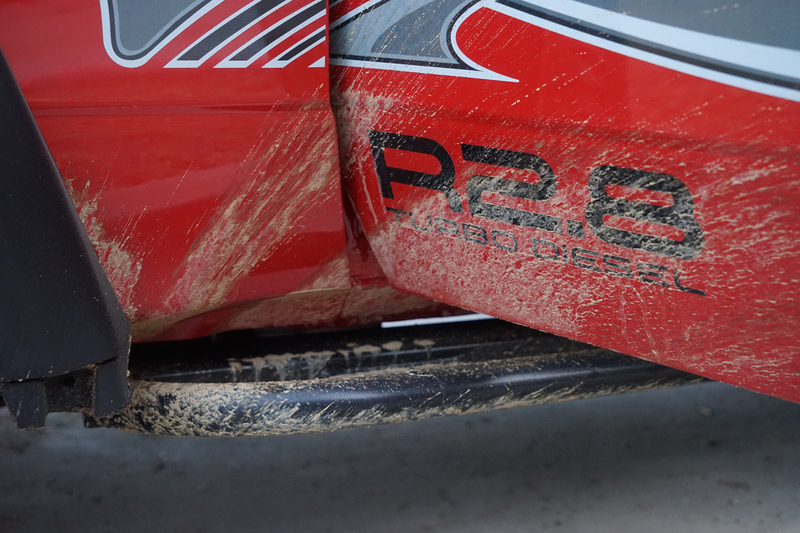 The R2.8 rolls out of the box at just about 500 pounds. It’s a four-cylinder (four valves per cylinder), cast-iron block turbo-diesel cranking out 161 horsepower at 3,600 rpm. After the media drive, based on data collected, Cummins increased the torque rating from 267 to 310 pound-feet at 1,800 rpm, which is nice. It uses a solo waste-gated turbocharger from Cummins Holset and a Bosch electronic fuel system. The engine control module (ECM) is a Continental CM2220 loaded with proprietary software developed by Cummins. The provided throttle pedal talks to the ECM, which in turn feeds all pertinent engine data back to the driver via a J1979/J1939 protocol controller area network (CAN) 2-inch diameter Murphy gauge. The Murphy provides the usual suite of information like RPM, MPG, engine coolant temperature, engine run hours, etcetera. You don’t need to use the supplied Murphy gauge, and can opt for another J1979/J1939 CAN with larger multiple displays, different backlight colors, and other user-desired features (I did find the basic Murphy gauge displays slightly difficult to read). Cummins recommends populating the dash warning lights with their supplied wires, so you can still get a visual cue if something is amiss with the R2.8. It’s possible to use the CAN display and the stock warning lamps simultaneously. Some people desire an OEM-looking dash and opt out for the Murphy gauge. Others stash the gauge out of view or elect to bypass the warning lamps altogether and rely entirely on the CAN. After the swap, based on information from Cummins, you’ll probably be close to the same vehicle weight as before the transplant. If you pulled out a 6- or 8-cylinder engine, then your new four-piston will definitely have fewer moving parts, which can’t hurt. The Cummins R2.8 turbo-diesel repower project is unique in its approach. It’s fine to keep as much stock gear under the hood (e.g., AC, radiator, steering controls) as possible, but it’s not required. Obviously, with the old motor removed, that would be a good time to address aging OEM parts. It would be oversimplifying to say this is a plug-and-play motor install. There are parts to be replaced or modified as necessary, and small mounts or fittings that will require some fabrication or basic mechanical ingenuity. Certain OEM controlled components might complain once they recognize the original power plant is missing. However, if you (or your mechanic) know the way around an engine compartment and an ECM, any workarounds should be straightforward. Cummins also provides an owner’s manual, an installation guide, and free access to their web database, Cummins QuickServe Online. The latter provides you with, among other information, service intervals, updates, parts descriptions and schematics. There is live-human telephone assistance, or the Cummins authorized repair network. Naturally, you can also reach out to previous successful installers. The crate motor comes with most everything you need to get the engine going except the diesel fuel. Sanders says it helps if you have pulled a motor before, and you should be able to change U-joints and similar parts. Having said that, apparently some R2.8 customers had never really turned a serious wrench prior to the build. The motor arrives with a flywheel for a manual gearbox, but there are various automatic transmissions that have been adapted (the entire point of our media test drive). All wiring is there in the box, pre-terminated. The throttle is wired, ready to go. 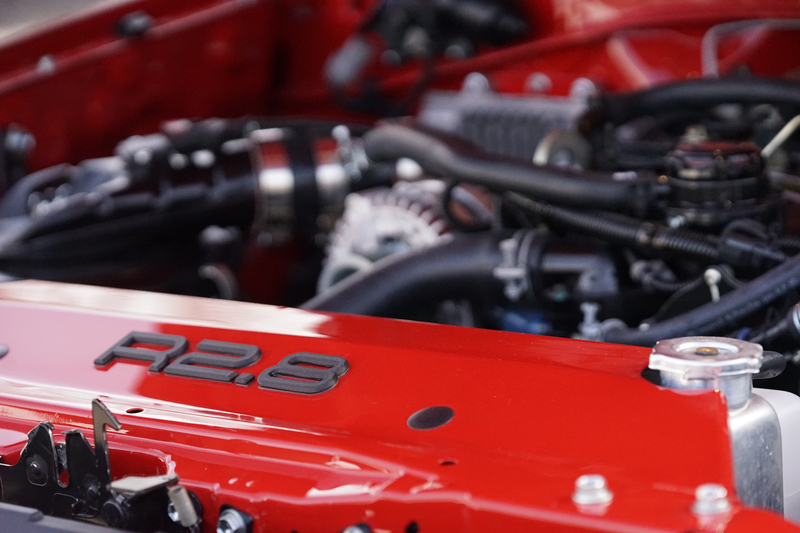 Drop in the motor, couple the transmission, connect the wires, reattach the AC (various locations are possible) and other essential underhood OEM components (e.g., radiator), add a key switch and starter wiring, and go. For those wanting to run an electronically controlled automatic transmission, Cummins broadcasts the key messages over the public CAN to talk to transmissions controllers, as was the case in two vehicles (Land Rover and 80 Series Land Cruiser) we tested. The aftermarket is now prevalent with items like bolt-on bell housings (in some cases, no adapters are needed) and plenty of upgrades for this type of swap. So how much time does it really take? Of course, it depends on the vehicle, its age and condition, other parts that might need repair or replacement, and the experience of the people spinning the wrenches. The current unofficial record is a shop in Canada at less than a week. A father and son team in the Chicago area seemingly did the build in about 10 days. Sanders estimates that within a home garage, reasonably outfitted but not a professional layout and including a basic 110V welder–and having knowledgeable buddies provide occasional help–it should require about one month. Ordering aftermarket parts may require a lead time, and your day-job schedule or other priorities could slow your progress. In any case, it shouldn’t be a monumental undertaking. You’ll surely want to know ahead of time if the diesel will comply with emissions and registration requirements, so there will be some homework regarding the jurisdiction in which your vehicle is registered. Cummins does offer guidance in this regard. Most of the target vehicles are 1999 or earlier, but this is just the general trend. As mentioned, for the beta and post-beta testing, Cummins sent out R2.8 crate motors to a few reputable builders in the Cummins Repower Builder network. To this end, Cummins contacted Jeremiah Proffitt of Resurrection Land Cruisers, and Mark Terrien of Heritage Driven. Consummate builders with respected staff and shops, each took different conceptual twists repowering a revered overland vehicle. To make it more interesting, Cummins paid for one vehicle of each individual builder’s choosing for the R2.8 installs. Proffitt went with an FZJ80 Land Cruiser. Terrien chose a Land Rover Discovery Series 1. Out of his own pocket, Proffitt also put together an HZJ79 Land Cruiser. This specific Cummins R2.8 turbo-diesel-powered rig has had much attention, starting at SEMA 2017 where it was first unveiled. 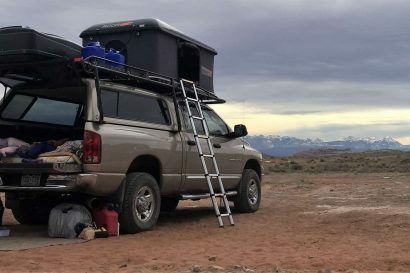 At our press field test, it was not yet equipped with all the overland gear in the bed. 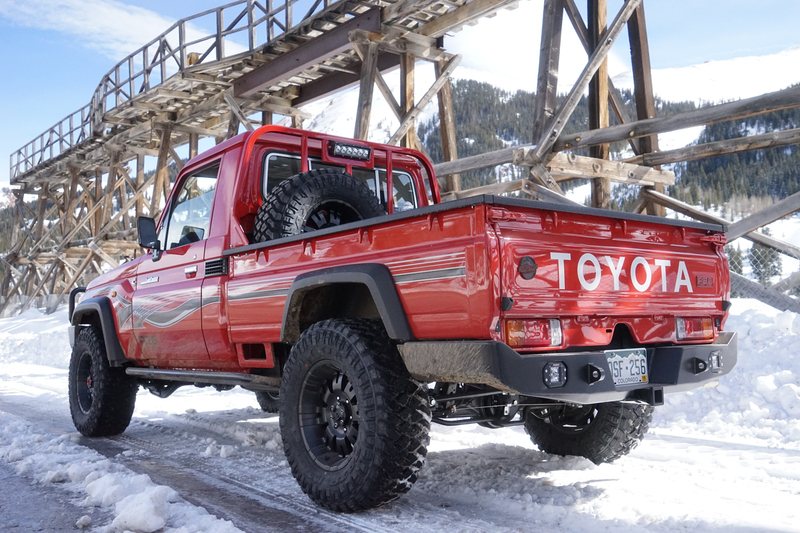 Using his own coffers, Terrien chose a highly modified 1985 Toyota Xtracab pickup (last year with the solid front axle) reminiscent of a classic Baja California surfing truck from the 1980s to beta test the R2.8. I arrive at Grand Junction on a bleak winter day and am greeted at the curb by a diesel FZJ80 Land Cruiser. Gear stowed, I hop in the back seat. Chandra Proffitt, mission control for Resurrection Land Cruisers, is providing turn-by-turn instructions to Sanders as he pilots the 80 Series back to the Resurrection Land Cruisers headquarters. We arrive, and that red HZJ79 is parked outside, hood up, brand new Cummins R2.8 ready and waiting. 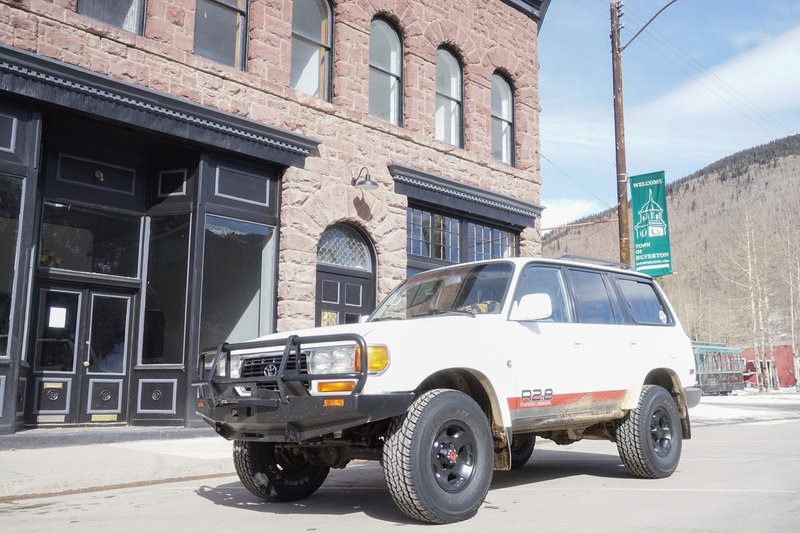 The Resurrection shop is full of Land Cruisers in various states of repair and restoration. FJ40s abound, naturally. There are a few Series 80s parked outside, and some carcasses of donor vehicles. One immaculately restored FJ40 appears to have been teleported from the 1977 assembly line in Japan to the 2018 Resurrection workshop in Austin, Colorado. A wall has various whiteboards with workflow tasks, calendars, critical path deadlines, staff assignments, and to-do lists. 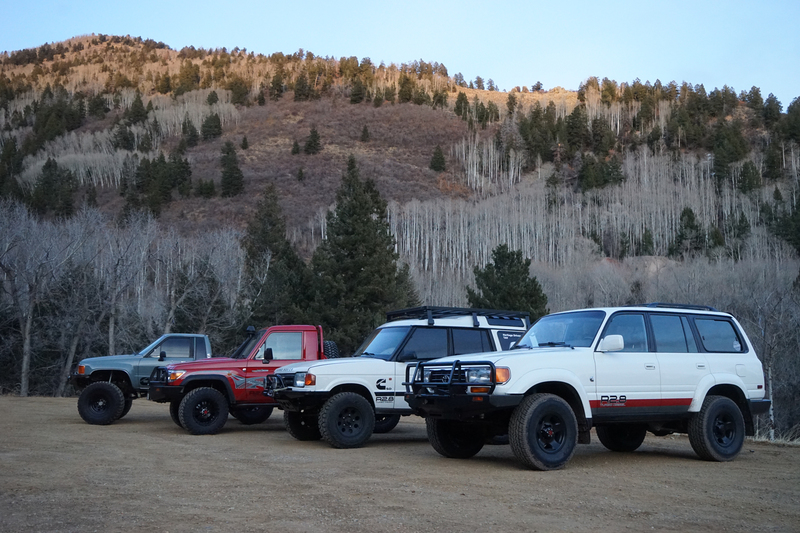 These are hallowed grounds for Land Cruiser enthusiasts. After stopping for soft shell tacos on the way out of town, I am finally rotated into the driver’s seat of the 80 Series. It’s at this point, with Sanders still doing some initial synchs between his laptop and the Cummins engine, that he tells me to drive it like I would drive it. On the open highway, the 80 Series immediately demonstrated the capability of its new diesel power plant. The interior noise was slightly more than the stock gas engine. Not because it was a diesel, which is what I initially assumed, but as Proffitt explained later, he was still waiting to receive a hood insulation pad. On the flats, it accelerated with ease. I held it comfortably at 65 mph for quite a while and then pushed it up to 75. I passed the first truck at just over 80 mph, then brought it back down to just under 70, and maintained that speed for at least 30 minutes. 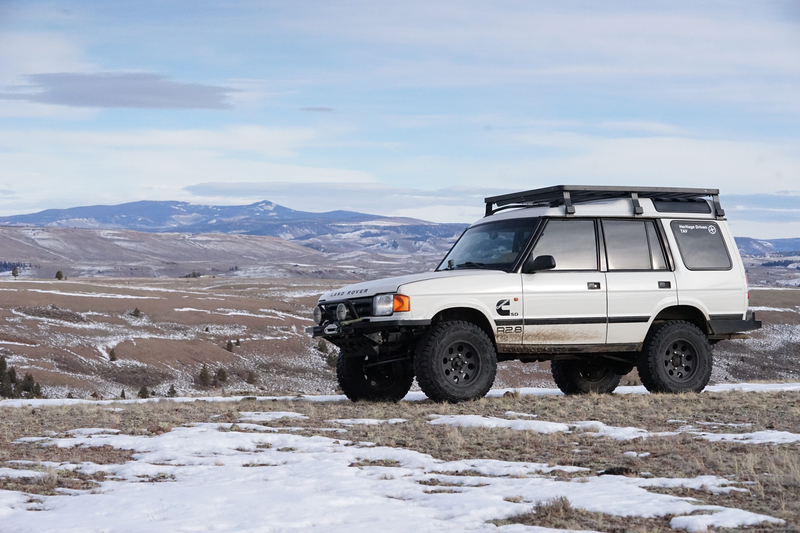 Everything—the steering, suspension, brakes—still felt 80 Series. Proffitt set this truck up with a GM 6L90e automatic transmission bolted to the Cummins R2.8 turbo-diesel. It was about one hour into the drive when it finally sunk in; we were zipping along in a North American registered 80 Series sporting a brand new Cummins diesel engine. We had three people in the truck, each with a weekend’s amount of winter field gear, plus photographic equipment and computers, and a full tank of diesel. Scrolling through the Murphy gauge menu for the first time, I searched for MPG. I can’t remember my speed or the RPMs at that moment, but the display indicated 21. On our way to Durango, we ascended past Ouray, the Switzerland of Colorado, and through Red Mountain Pass at 11,018 feet. This winding pass, and that entire section of Interstate 550 to Durango is replete with slow hairpins, decreasing radius corners, and steep gradients where throttle control is required to carry vehicle momentum. I didn’t notice much turbo hesitation, and exiting a few turns where I had to give it some wellie, the R2.8 responded immediately. Along the way, there are some long, uphill straights where the RPMs maintained during climb with no added throttle. This was all happening, I must add, mostly between 7,500 and 11,000 feet above sea level. The Cummins-powered Land Cruiser never missed a beat. 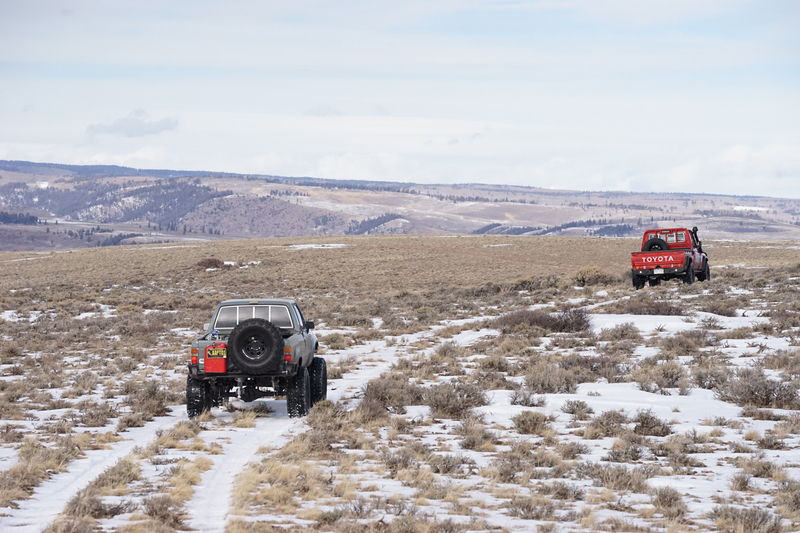 We rolled into Durango and went off on a partially snow-covered dirt single-track. By that time, I was already a convert, and I hadn’t even driven the other vehicles. 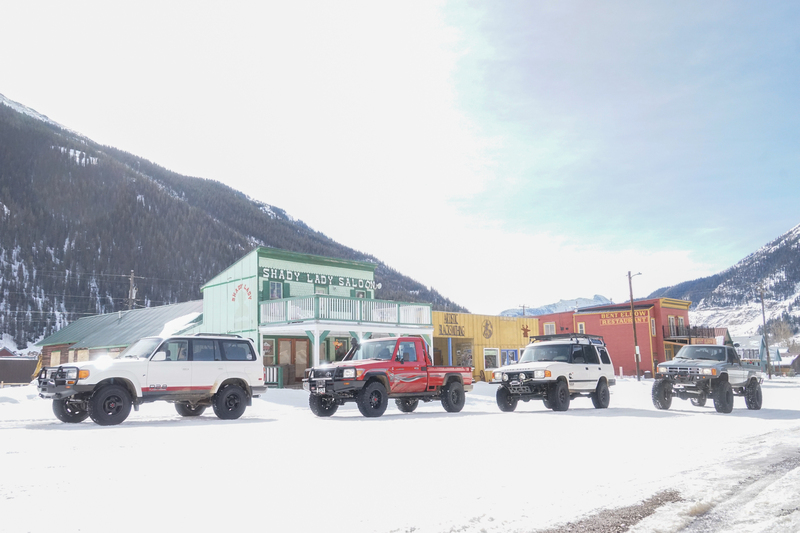 On Day 2, we were headed in a roundabout way to the historic mining town of Silverton. I muscled my way back into the 80 Series just to make sure the previous days’ impressions and field notes were still in agreement. They were, with plenty more hills and passing lanes along the way to prove the point. 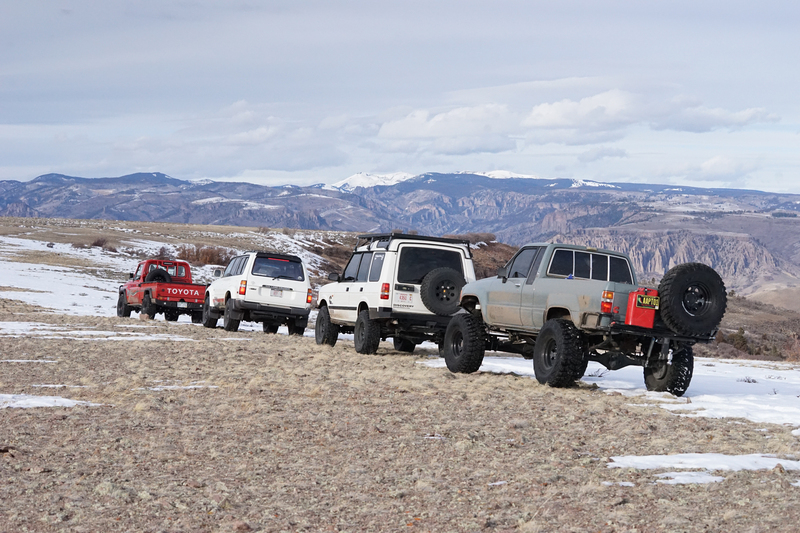 Eventually, the Cummins diesel caravan made its way to private lands owned by members of the Ute Native American tribe. 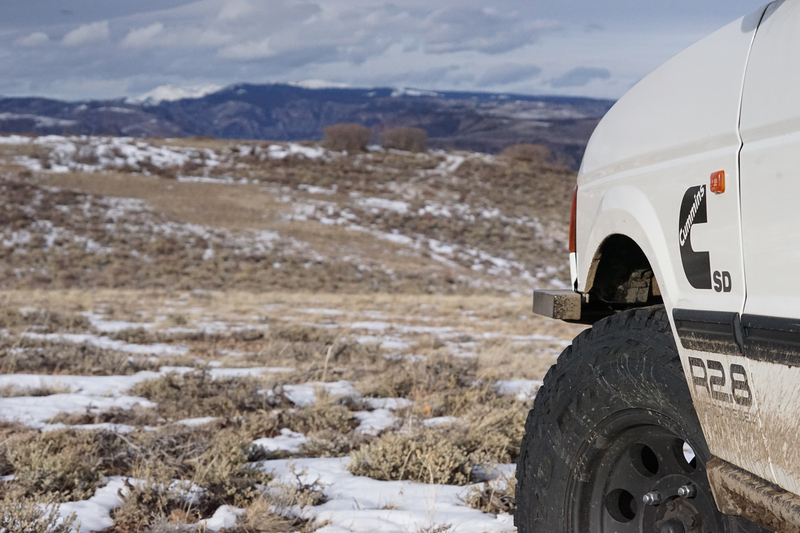 Proffitt is the caretaker of the land in winter, and it’s here I get some off-highway time with the Land Rover. Built by Heritage Driven and Tactical Application Vehicles (TAV), this 1999 Discovery Series 1 is a very clean build with quality aftermarket equipment. The TAV/Heritage team chose the GM 6L80e automatic transmission with a RW Performance Engineering LT230 adapter to mate with the R2.8. Along with other re-engineering necessary for the install, Terrien switched to a right-hand drive Discovery steering box, as the original LHD location occluded the new drivetrain and mounts. His team also adapted factory Rover sensors to work with the new diesel engine and used a Dakota Digital tachometer converter unit so the factory dash mounted tach could still be used. Most of these behind-the-scenes modifications were not apparent to the driver. The majority of my Land Rover time is in right-hand drive, manual gear variants, so it felt slightly decadent driving an automatic. This Cummins powered Disco 1 makes for a very nimble combination, especially with its excellent approach and departure angles. Going over obstacles and erosions across the single-track, the Rover felt right at home with light throttle and soft left foot braking. On open terrain, it was easy to modulate the throttle and give the turbo-diesel specific marching orders. With the exception of the Murphy gauge, everything in the interior appeared stock. I recall seeing between 17-20 MPG on the Murphy, and this was before the Cummins team had refined the engine settings. The Discovery interior did seem slightly quieter than the 80 Series when the R2.8 was at higher revs on the highway. I was not rotated into the 1985 Toyota Xtracab driver’s seat, but I did get some seat time in the Resurrection Land Cruisers HZJ79. Taking a 1993 FZJ80 Toyota Land Cruiser as the donor chassis, Proffitt stretched out the frame, attached 70 Series pickup bodywork, and then dropped in the Cummins R2.8 turbo-diesel. It sounds simple, but it wasn’t. The Resurrection team mated up the Cummins to a new Toyota H55F 5-speed manual transmission. With nearly 60 gallons of onboard diesel contained in two tanks, it has a projected range that exceeds 1,000 miles. This Frankencruiser is entirely immaculate, and the level of detail in the build is beyond comprehension. Some of the 70 Series parts derive from trucks used in mining operations. Proffitt tracked that gear down. The driver’s side seatbelt mount on the pillar is OEM 70 Series, obtained from the parts department of a Toyota dealer in the Middle East. He tracked that down too. The seat covers look stock, except they are perforated leather. At this point, overseas readers might be wondering what’s all the fuss about a 70 Series Land Cruiser pickup. In the US at least, you’d have more chances of being hit by lightning while standing next to a Sasquatch who just won the California state lottery, than spotting a HZJ79. It is not even a rare bird; it’s more like a mythical creature. How does the manual shift HZJ79 drive? As I described to a geologist colleague, it’s like a dating service matched up that R2.8 engine with its dream vehicle. It pulled up steep grades with ease. I assumed it would be necessary to continually grab gears on winding, high-elevation highways but that wasn’t the case. In 5th gear, even if the revs dropped lower than desired, putting my foot right back in it brought the Cummins RPMs up without delay. Downshifting and keeping the engine within the optimal power band was very intuitive. This truck certainly had more interior noise than the Disco 1 and the FZJ80, but it’s also not from the luxury vehicle side of the Toyota pedigree. With plenty of highway time at high elevations, driving through snow and rain, and with off-highway jaunts for good measure, I was able to assess how the Cummins R2.8 turbo diesel repower engine performs in real-world applications. After our media drive, the Cummins team drove the Toyota Land Cruiser FZJ80 and the Land Rover Discovery Series 1 back to their headquarters in Columbus, Indiana, for more engine testing and improvements. As a result, they have further refined the shift points, lag, and cold starting, among other important settings. For comparison purposes, the stock 1999 Land Rover Discovery Series 1 4.0-liter V8 engine produces 185 horsepower at 4,750 rpm with 233 pound-feet of torque at 3,000 rpm. 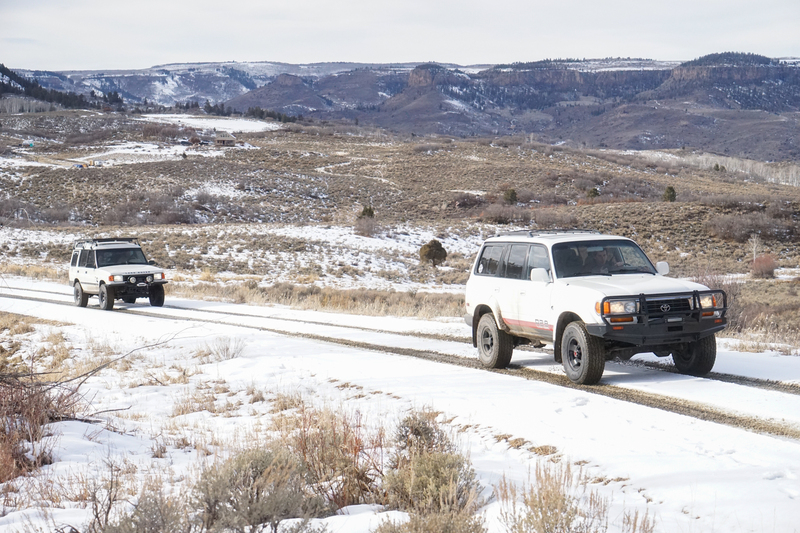 The stock 1996 FZJ80 Land Cruiser 4.5-liter, 6-cylinder engine measures 212 horsepower at 4600 rpm, with 275 pound-feet of torque at 3,200 rpm. The Cummins R2.8 turbo-diesel is currently rated 161 horsepower at 3,600 rpm, and 310 pound-feet of torque at 1,800 rpm. I understand that a 2.8-liter displacement sounds tragically small to many North American truck owners. 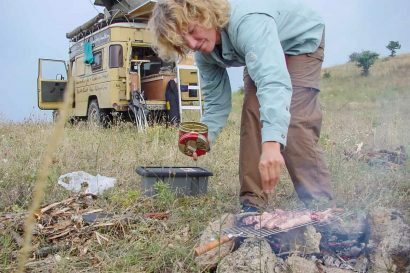 I have good drive time in smaller diesels overseas, usually loaded with gear for extended fieldwork, and I have never found them to be lacking. Sure, you need to be a bit more precise about choosing the moment to pass a truck on the highway. 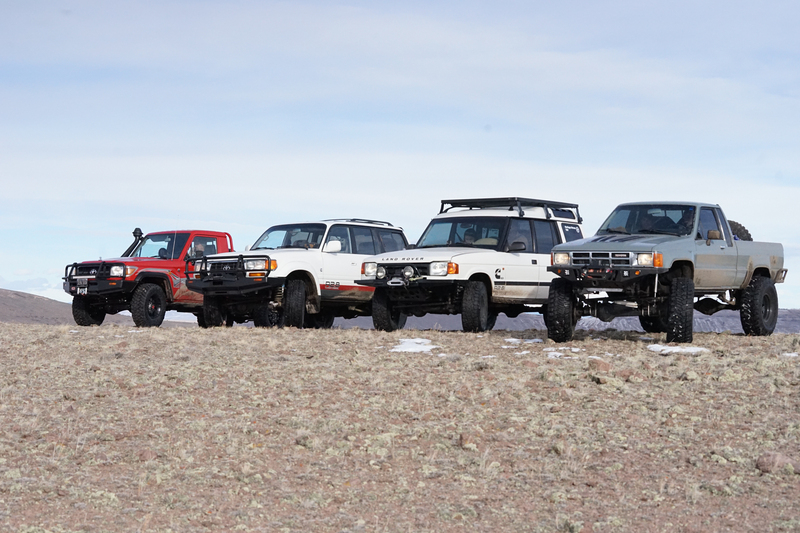 However, the Cummins R2.8 turbo-diesel felt right at home in the FZJ80 and the Land Rover Discovery 1, and these are not the lightest SUVs. The HZJ79 Land Cruiser is made of pure unobtainium in the US, but for what its worth, that engine to custom chassis match is brilliant. I think one ultimate pairing of the Cummins R2.8 would be with a clean Lexus LX450 (essentially a leather interior, wood dash 80 Series Land Cruiser). I guess the other would be my aging 2003 Double Cab Tacoma, since I don’t own the Lexus. It’s fitting to conclude with some mileage and weight information gleaned from my discussions with Stephen Sanders. For the stock Land Cruiser 80 Series, the practical baseline is somewhere in the 8-12 mpg range (factory curb weight 4,750 pounds). 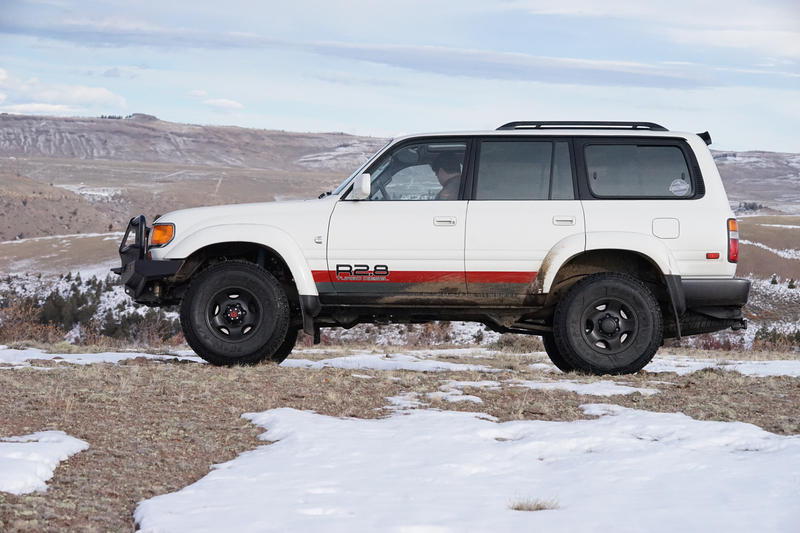 The 80 Series we tested has a lift, larger tires, aftermarket front bumper, Cummins R2.8 engine with 6L90e transmission, and tips the scales unloaded yet fully equipped at 5,300 pounds. That same truck was recently driven by a Cummins engineer, along with his wife, three children, and their gear, on a lengthy road trip through Michigan. They averaged between 20-23 mpg as logged in the fuel book. 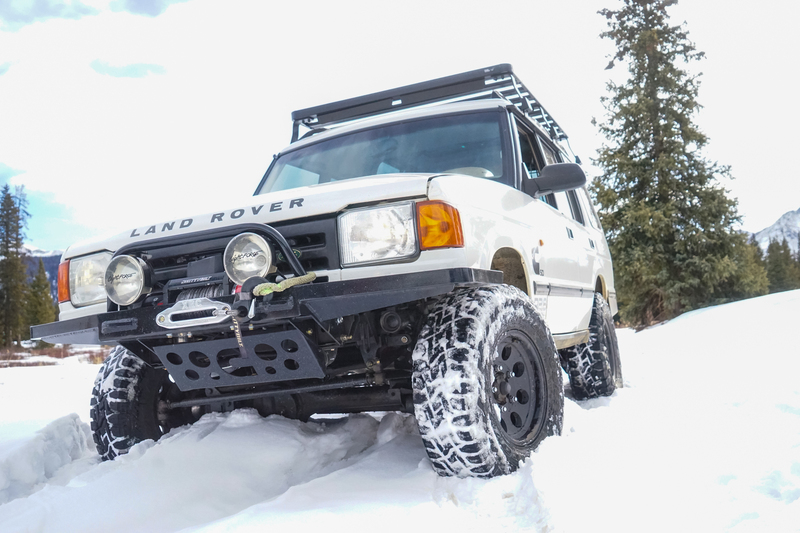 The 1999 Land Rover Discovery Series 1 we tested, also now back at Cummins, currently has BFG mud terrains, a rooftop tent, aftermarket bumpers, a winch, lift kit, and a 6L80e transmission. Sanders informs me that owners of stock V8 models report between 10-14 mpg unloaded (stock curb weight around 4,500 pounds). The Cummins modified Disco 1 tips the scales around 5,000 pounds, and through extensive testing and employee use, they continually log 17-24 mpg. For this repower, you’ll surely need to fabricate fittings and mounts, and there will definitely be some troubleshooting along the way. Resourcefulness will be necessary. You could farm out the entire install to a professional outfit with experience in this regard, or you could do it yourself. Cummins offers excellent guidance and will help you access pertinent resources. There are also online discussions and previous builders that can be tapped for insights. If you are interested in possibly doubling your stock tank range and gaining the reliability of a proven diesel engine that could get your used rig another 500,000 miles down the road, then you should seriously consider the Cummins R2.8 repower crate engine. For Bryon, overland travel is often vocational necessity rather than a purely adventurous pursuit. To accomplish field research for a PhD in archaeology, he frequently rode a gear-laden BMW R100GS/PD roundtrip from Scotland to Croatia. He then worked as a contract archaeologist, taught field survey and excavation, and collaborated with the Department of Pre-and Protohistory, University of Zürich, before starting a consulting company. Work has led him to the Middle East, South Pacific, Americas, Africa, and Europe. Bryon is a photographer, scuba instructor, pilot, wilderness EMT, and certified public safety off-pavement vehicle operations instructor. He also conducts specialized safety courses for workforce members deployed to adverse locations, is on a search and rescue team, and serves in a law enforcement diving unit.